So, you have developed some interest in Python programming and you have even planned to learn it. Well, this is one of those critical but rewarding decisions that you have ever made in your life. There are lots of things that you can do with Python programming language. Google and Instagram are just two examples of major applications that are based on Python. Python is not a complicated programming language. It looks like the English language and is easily readable. You will have an easy time when learning it. Here are the best courses to learn Python programming language. 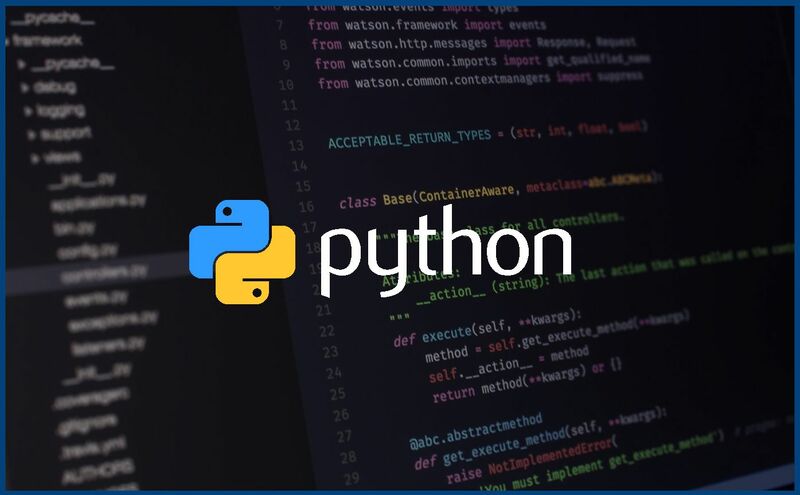 This course is available at Udemy and it is one of the top-rated courses for Python programming. It covers both Python 2 and Python 3. The course will also teach you about the advanced features of Python programming such as how to use timestamps, decorators and collection modules. The course will teach you about object-oriented programming in Python. You can apply this knowledge to other programming languages. Complete Python Bootcamp course will teach you how to create .py files and at the same time use Jupyter. In overall, this is a course that will take your knowledge of Python programming from 0 to 100. This is an easy-to-use course that can transform you from a beginner to an expert Python programmer. It mainly covers Python 3 whereby you will learn how to build 11 projects using Python. The course also covers Object Oriented Programming using classes. You will learn the details of creating behind Scenes functionality using Python. This course will teach you how to automate different coding tasks. You will also learn how to build custom functions using Python. When it comes to data management, this course will equip you with the right skills for tracking data using variables. You will learn how to improve user experience using Python. Python programming language has a wide range of applications. Whether you want to pursue data science, machine learning, artificial intelligence, and web programming, the language will come in handy. Its simplicity is just one of the reasons that will attract you to this language. Since this programming language has been in existence for quite a while, it has more than enough libraries. That you can use to simplify your programming. I regularly watch your page which has good stuffs. Keep up the good work. One question,why all of the courses are from udemy? We have other good Courses as well. Come on, why only sites of udemy? There are others too, suggest those as well please. Also suggest interactive sites. Because Udemy is the most affordable and value for money site. Also, investing a huge amount on learning is something out of the box for most of us. Udemy is doing a great job by providing us the cheapest course possible in the market with great and quality contents. Yes, there are others resources as well but, please compare the price and the course content. you will find out that they are worthless in front of Udemy courses. Brother first of all u r doing great work by sharing your information to us so thank-you very much, and I just want to know in your next article that which top 5 websites or u-tube channel or any sources that is EXCELLENT for julia language Plzz let us know in ur another article plzz.